Levitation is a natural event that automatically occurs when 4th and higher dimensional levels of Unconditional Love Energies fill a human physical body or a sacred object. Levitation occurs naturally whenever all atoms in an object or human physical body become negative ions and begin orbiting faster than the speed of Light as this process enables sacred objects and/or spiritual adepts in human physical bodies to become weightless. Long ago, levitation was considered normal for spiritual adepts. 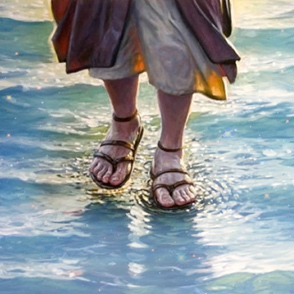 While many people are aware that the one whom people call “Jesus” was seen levitating and walking on water, but few people in today’s world are aware that other members of his family also levitated, including Jesus’ brother Simon who could levitate higher than the top of Rome’s famous Coliseum. Due to religious book burnings, only a few legends remain today about Thoth Hermes Trismegistus and his building of Egypt’s great pyramids, like the one that says he would wrap each pyramid stone in papyrus and tap it with a rod. However, Thoth Hermes Trismegistus did not wrap each pyramid stone in papyrus, but he did recite the ancient sacred pre No-Ah’s Ark power prayers recorded on papyrus and he sang the ancient sacred pre Great Flood of 3114 BCE power songs written on papyrus so he could infuse vast amounts of Unconditional Love Energies directly into pyramid stones. And so it was around 4,500 years ago that after saying the pre flood power prayers and singing the pre flood power songs, Thoth Hermes Trismegistus would tap each pyramid stone with a rod of gold in order to infuse the final amount of levitation level Unconditional Love Energies directly into the pyramid stones so they would become completely weightless and easily moved into position. The rod of gold used by Thoth Hermes Trismegistus became part of the legendary Ark of the Covenant, and as fully explained in our January 2015 Monthly Love Session, part of the Ark, including Thoth’s levitation rod of gold, was taken by the Super Enlightened Scottish prince Quetzalcoatl a thousand years ago to Ethiopia and left in the care of an Enlightened abbot living in a mountain monastery. We teach participants in our Love Energy Techniques Activator Class how to use the Unconditional Love Energies of Joy and Bliss so they may activate 2 levels of Merkabas and travel beyond all gravitational constraints in the ultimate levitation technique. The ultimate levitation technique enables and empowers one to consciously travel in one’s activated Merkabas through Tunnels of Love or “wormholes in space” where one uses one’s 5th dimensional Conscious Awareness to perform action and experience events. One records memories of experiences that expand one’s 5th dimensional Spiritual Energy Fields of Consciousness during activities at a distant location where there is no pain, suffering or death, where one swims in lakes filled with the Unconditional Love Energies of Joy and walks in valleys filled with the mystical Unconditional Love Energies of Bliss.